Dole, Robert. Great Political Wit. 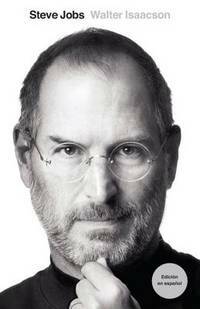 From Steve Jobs to The Downing Street Years, from	Living History to Farthest North - 1st Edition/1st Printing, we can help you find the celebrity biography books you are looking for. As the world's largest independent marketplace for new, used and rare books, you always get the best in service and value when you buy from Biblio.com, and all of your purchases are backed by our return guarantee. Walter Isaacson, presidente del Instituto Aspen, ha sido presidente de la CNN y director ejecutivo de la revista Time . Es autor de Einstein, su vida y su universo , Benjamin Franklin: An American Life y Kissinger: A Biography , y es coautor, con Evan Thomas, de The Wise Men: Six Friends and the World They Made . Vive con su esposa en Washington, D.C. Since leaving office, PRESIDENT GEORGE W. BUSH has led the George W. Bush Presidential Center at Southern Methodist University in Dallas, Texas. The center includes an active policy institute working to advance initiatives in the fields of education reform, global health, economic growth, and human freedom, with a special emphasis on promoting social entrepreneurship and creating opportunities for women around the world. It will also house an official government archive and a state-of-the-art museum that will open in 2013. Walter Isaacson , presidente del Instituto Aspen, ha sido presidente de la CNN y director ejecutivo de la revista Time. Es autor de Einstein, su vida y su universo (Debate, 2008), Benjamin Franklin: An American Life y Kissinger: A Biography, y es coautor, con Evan Thomas, de The Wise Men: Six Friends and the World They Made. Vive con su mujer en Washington, D.C. Walter Isaacson is the CEO of the Aspen Institute, has been chairman of CNN and the managing editor of TIME magazine. He is the author of Benjamin Franklin: An American Life and of Kissinger: A Biography, and the coauthor of The Wise Men: Six Friends and the World They Made. He lives in Washington, D.C. with his wife and daughter. American Sphinx: The Character of Thomas Jefferson, is a 1996 book written by Joseph Ellis, a professor of History at Mount Holyoke College. 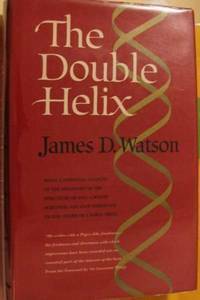 It won the 1997 National Book Award (nonfiction). An Unfinished Life is a 2005 drama film directed by Swedish director Lasse Hallström, and based on the Mark Spragg novel of the same name. The film stars Robert Redford, Jennifer Lopez, and Morgan Freeman. It is the story of a Wyoming rancher (Redford) who must reconcile his relationship with his daughter-in-law (Lopez) and granddaughter, after they show up unexpectedly at his ranch and ask to stay with him and his disabled best friend and neighbor (Freeman). Walter Cronkite lives in New York City and on Martha's Vineyard. From the Hardcover edition. An American Life is the 1990 autobiography authored by former American President Ronald Reagan. 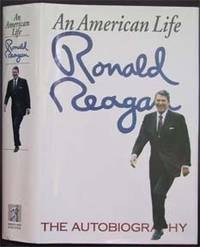 Released almost two years after President Reagan left office, the book reached number eight on The New York Times' bestsellers list. Keeping Faith (1999) is a novel by bestselling author Jodi Picoult about a custody battle involving a seven-year-old girl who may be seeing God. "General Chuck Yeager, the greatest test pilot of them all. . . the first man to fly faster than the speed of sound. . . the World War II fighting ace who shot down a Messerschmitt jet with a prop-driven P-51 Mustang. . . the hero who defined a certain quality that all the hot-shot flyboys of the post-war era aimed to achieve. . . Chuck Yeager is the right stuff. Now Chuck Yeager tells his whole incredible life story with the same 'wide-open, full throttle' approach that has marked his career as a flier." This award-winning companion volume to Roosevelt: The Lion and the Fox concludes the first and most acclaimed complete biography of Franklin Delano Roosevelt. Undoubtedly the most comprehensive study of one of America's most acclaimed presidents, this classic biography is unparalleled in its depth, accuracy, and accomplishment. Nobel Laureate Desmond Tutu has long been admired throughout the world for the heroism and grace he exhibited while encouraging countless South Africans in their struggle for human rights. In God Has a Dream, his most soul-searching book, he shares the spiritual message that guided him through those troubled times. Drawing on personal and historical examples, Archbishop Tutu reaches out to readers of all religious backgrounds, showing how individual and global suffering can be transformed into joy and redemption. With his characteristic humor, Tutu offers an extremely personal and liberating message. He helps us to "see with the eyes of the heart" and to cultivate the qualities of love, forgiveness, humility, generosity, and courage that we need to change ourselves and our world. Echoing the words of Martin Luther King, Jr., he writes, "God says to you, 'I have a dream. Please help me to realize it. It is a dream of a world whose ugliness and squalor and poverty, its war and hostility, its greed and harsh competitiveness, its alienation and disharmony are changed into their glorious counterparts. When there will be more laughter, joy, and peace, where there will be justice and goodness and compassion and love and caring and sharing. I have a dream that my children will know that they are members of one family, the human family, God's family, my family.'" Addressing the timeless and universal concerns all people share, God Has a Dream envisions a world transformed through hope and compassion, humility and kindness, understanding and forgiveness. David Rockefeller was chairman of the board and chief executive officer of the Chase bank for many years. He has since retired and currently sits on many project and charity boards. He lives in New York City. From the Hardcover edition. After a career in the U.S. Navy and two terms as a U.S. representative, John McCain was elected to the U.S. Senate in 1986 and reelected in 1992 and 1998. He and his wife, Cindy, reside in Phoenix, Arizona. Mark Salter has worked on Senator McCain's staff for more than 15 years. He lives in Alexandria, Virginia, with his wife, Diane, and their two daughters.